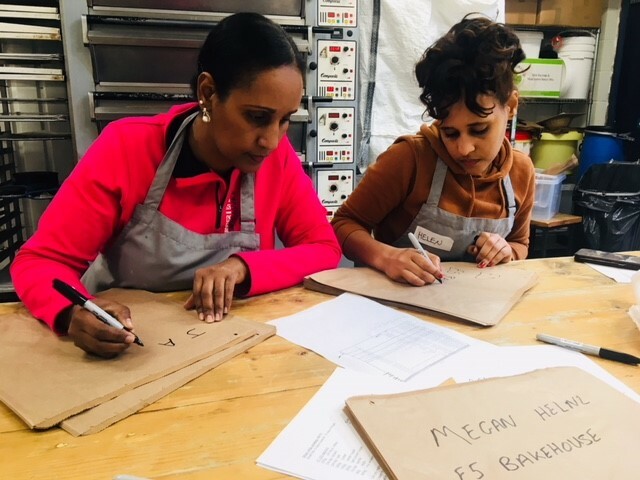 Now that we are more than half way into the course it’s great to see how much the ladies have learned, how much their confidence in the Bakehouse is growing and how such lovely friendships are developing. It’s truly becoming a group of very talented bakers. One of the highlights has been that the ladies had the opportunity to learn about health and safety and gain a certificate in it over at the e5roasthouse. 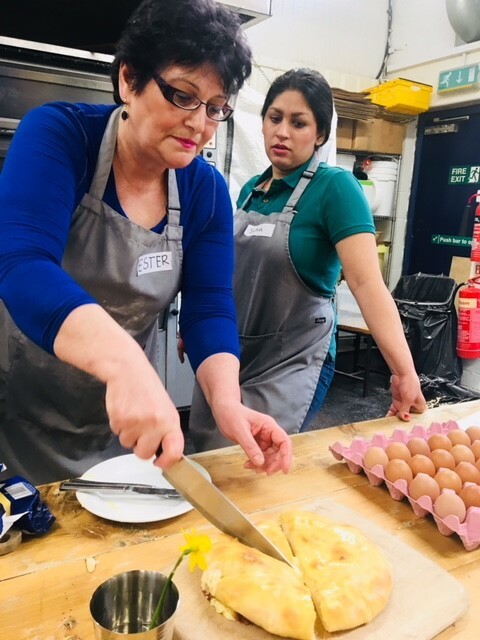 We all hope that this new and certificated knowledge will help aid them in their search for employment here in the UK as they have know learned all the skills necessary in a cooking workspace. A focal point of the past few weeks has been the dedication to making the best bread possible for our subscribers. This has proved to be an amazing incentive for the ladies as they love having something to work for, a “purpose” in their baking. 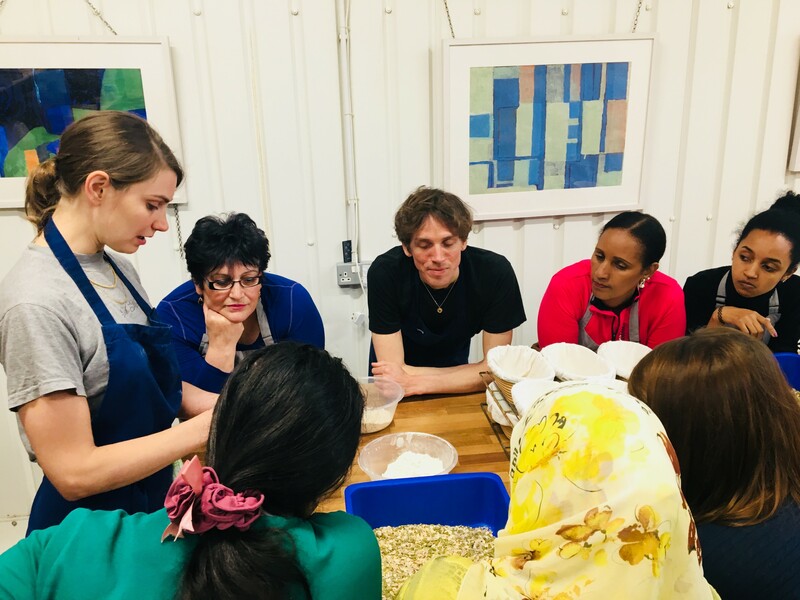 Every week of subscription breads provides a really strong and united working atmosphere which engages all the women in such a focused way and has clearly deepened friendships and the sense of comradeship as they work together to produce all the orders on time. The ladies are also becoming very familiar and at home within the Bakehouse. Some weeks they are able to learn other skills useful within a cafe/restaurant environment. The coffee machine seems to be a popular destination to work at other than the baking table and some of them really love serving customers at the front of the Bakehouse. 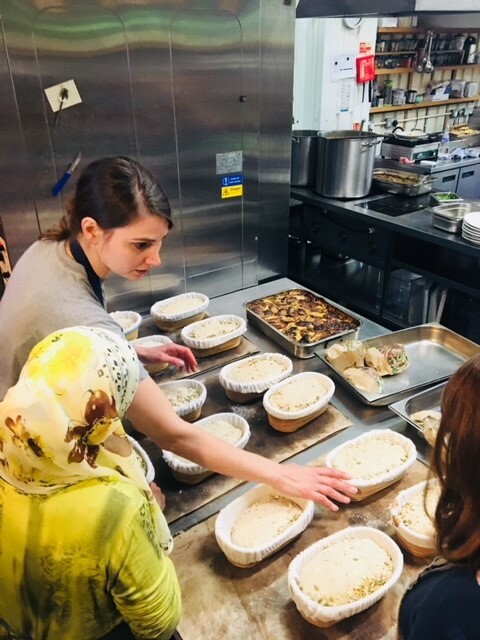 Probably one of the nicest things that has started to occur on a weekly basis, is the refugees bringing in their own native home cooked food to share with us all. We have now seen such a variety of food from all over the world and this seems to have spurred a new desire to prepare and share their traditional foods. It is a joy to be able to sit at a table and eat and discuss these foods with such incredible women, who despite what they may have been through still maintain an absolutely pure generosity. 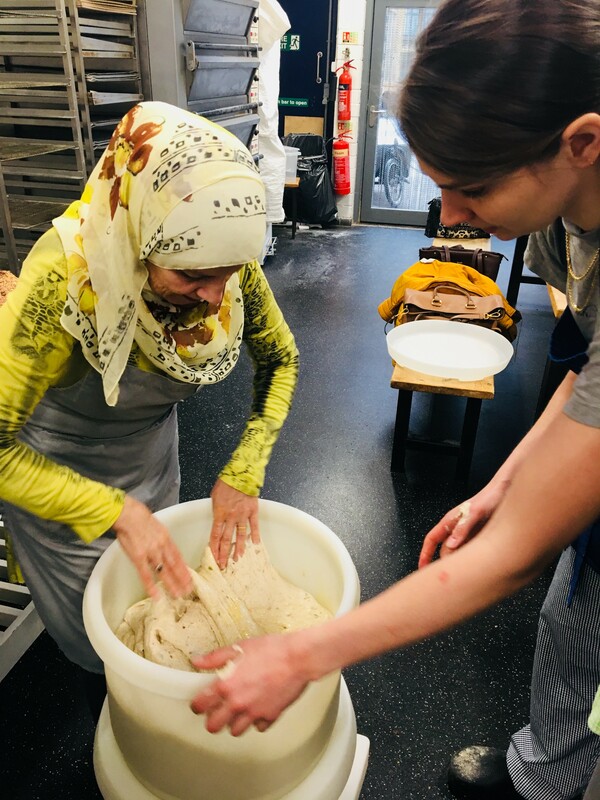 The will to share and introduce new cultures really hones in on one of the main goals of the course: to be united and integrated using the medium of food.